QuietCool offers a selection of accessories to enhance the performance of your QuietCool products. Timers are available to turn off your whole house fan after set times. PollenTec screens help filter incoming air at the windows you use with your whole house fan. Adapters are available to accommodate special mounting needs for our whole house fans and more! Learn more about all of our accessories below. 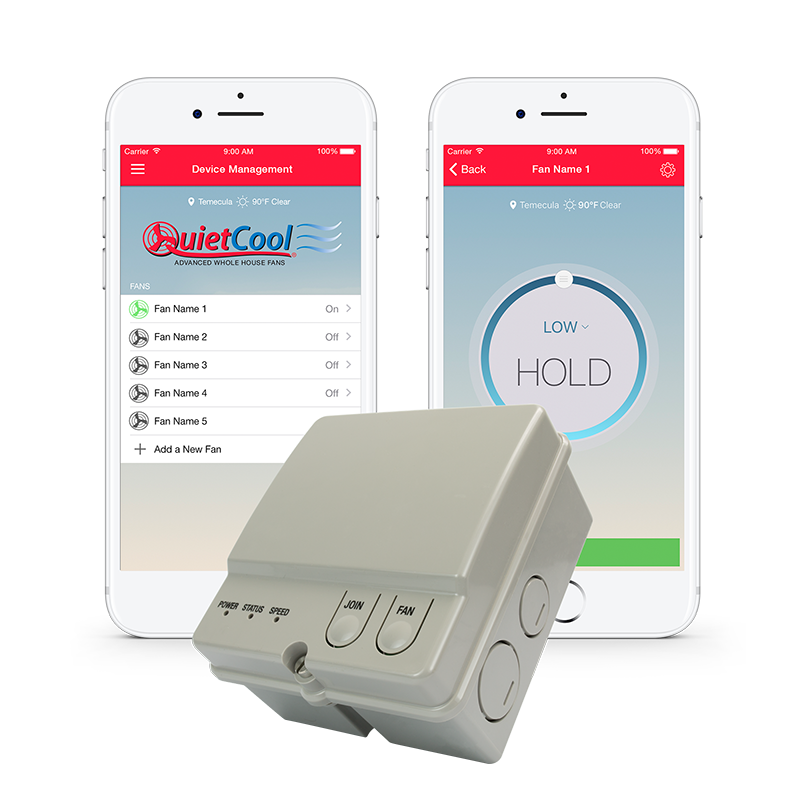 Controls how long your QuietCool system will be running: one hour, two hours, four hours, eight hours, or HOLD (which is set by holding the timer button for three seconds). Timers are included in both the Trident Pro & Stealth Pro series. With the QuietCool Wi-Fi Smart Control, you can control the speeds of your fan as well as the countdown timer, from 30 minutes to 8 hours! 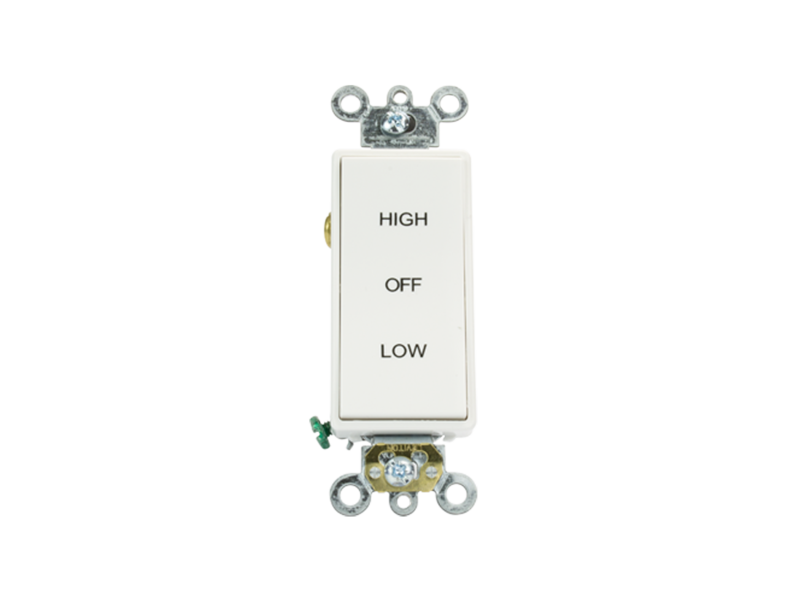 Purchase one Wi-Fi Smart Control hub per motorhead in your QuietCool system. The QuietCool network inside of your home can control up to 15 fans! The QuietCool Wi-Fi Smart Control is backwards compatible with all QuietCool whole house fans. Phone or tablet sold separately. PollenTec screens replace the standard screens already installed in homes. 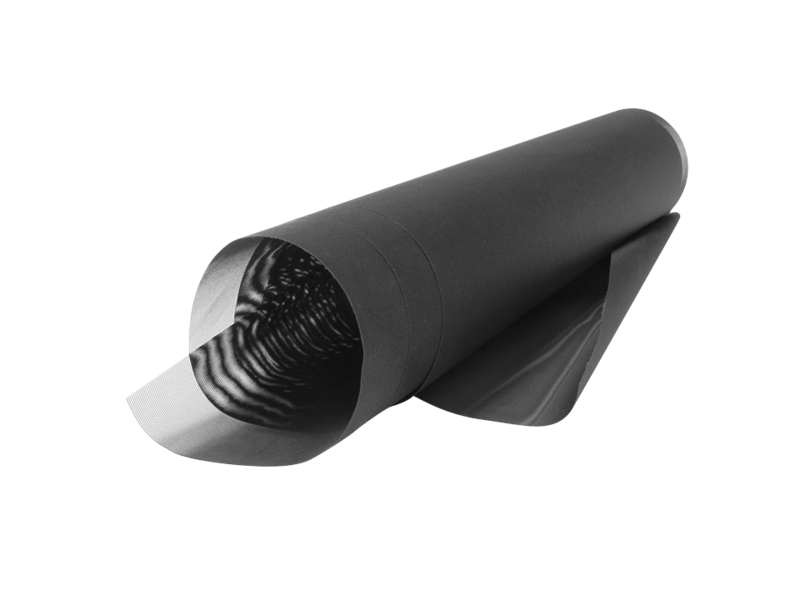 They use a special nylon material that is more tightly woven, thus blocking dust and allergens! Vertical adapters allow homeowners to install their QuietCool system on a vertical wall, instead of the ceiling. 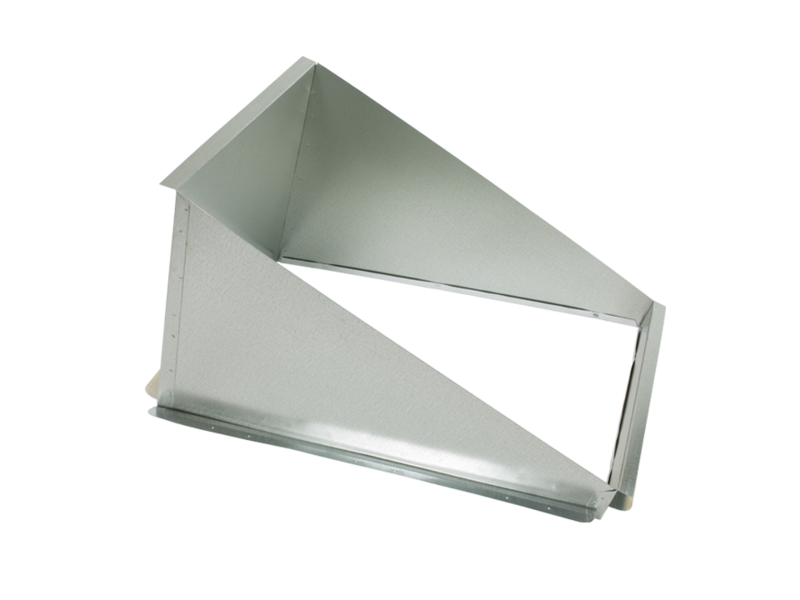 The adapter allows the damper doors inside the R-5 damper box to completely seal shut on vertical installations. There is no need to cut into beautiful cathedral ceilings anymore; install a vertical adapter and enjoy your QuietCool system all year long!